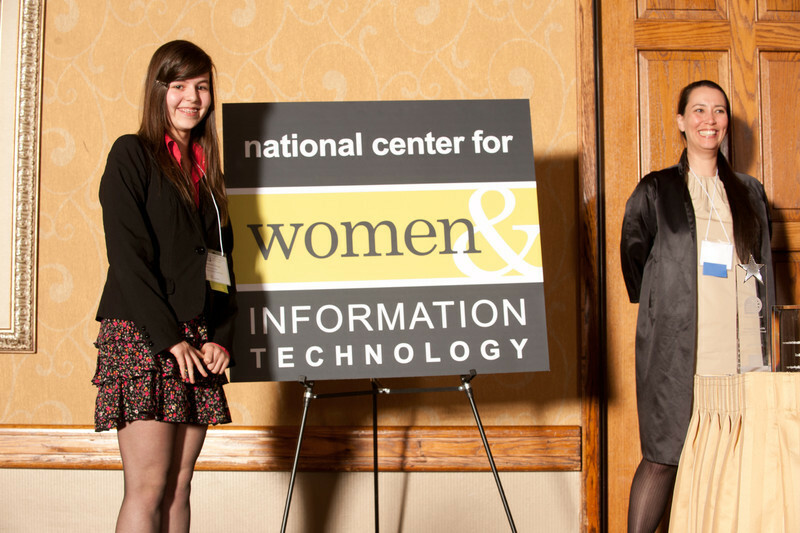 The NCWIT Award for Aspirations in Computing recognizes high school young women for computing related achievements and interests as part of an effort to encourage more young women to choose careers in information technology and computing. The Award offers both national and local affiliate competitions to generate support and visibility for women’s participation in computing nationwide. Applicants were judged on outstanding aptitude and interest in information technology and computing, strong leadership skills, good academic history and plans for post-secondary education. Award-winners receive an engraved trophy for themselves and their school, as well as a package of gifts from local sponsors. NCWIT is the National Center for Women & Information Technology, a non-profit coalition of over 200 prominent corporations, academic institutions, government agencies, and nonprofits working to improve U.S. innovation, competitiveness, and workforce sustainability by increasing women’s participation in IT. NCWIT’s work spans K-12 and higher education through industry and academic careers. Find out more at http://www.ncwit.org.